Data security is a topic that business owners seldom want to talk about. Not because they’re neglecting it or because they don’t have the money to protect sensitive data, but because they dread what could happen in the event their customer’s personal data does get leaked because of a hacker or a disgruntled employee seeking revenge. Data security is one of the few safety nets offered to consumers. When people type in their credit card information and addresses to purchase your products or use your services, they’re trusting you with that sensitive data. Likewise, if you’re providing a cloud storage solution, then your customers are going to trust you with their privacy. It doesn’t matter what they upload to your storage, it’s important that you keep it safe, don’t look at it and give them peace of mind that their privacy is secure. Sadly, when your entire business relies on the cloud, you’re prone to hackers that will constantly find loopholes and vulnerabilities in your systems in order to inflict damage on your brand. It’s a constant battle between good and evil. In fact, hackers have claimed in the past that they would remotely wipe data from millions of Apple devices if the tech giant didn’t listen to their demands. It’s a precarious situation because if Apple does give in to those demands, they likely won’t have the credibility to continue protecting their customer’s information and data. However, if they don’t back down, then personal information or data could be leaked much like the celebrity photo leak that happened back in 2014. Apple is a major corporation that has a lot of international attention and this puts them in the firing line of hackers. Fortunately, small businesses are often kept off the radar and are generally safe from these malicious people. Unfortunately, if you’re also caught up in a recent security vulnerability, then you’re easy pickings for a skilled hacker. So whether you’re a small business or a tech giant, it’s important to take great care of your data security. If you think that a free firewall and antivirus is enough to keep your data secure, think again. There are many ways that a hacker can break into your business network, and they’ll steal half of your company’s sensitive data before you even detect them if you don’t take it seriously. If you want to protect your business, then here are a couple of important considerations to keep in mind. Your data is a hundred times more secure if you use HIPAA compliant hosting. HIPAA stands for Health Insurance Portability and Accountability Act. It’s a set of privacy and security rules that are enforced by the U.S. government in order to uphold regulatory standards. This is for the sake of protecting patient data, but it can still apply to your business if you deal in managed IT services for a medical company. Even if you have nothing to do with a medical company, the point is that you should always use a secure server when possible. Startups simply don’t have the time or money to invest in a robust and secure server that is virtually impenetrable by hackers, which is why it’s best to outsource your storage services until you’re a large enough company to do it on your own. These external companies usually get the job done quickly and have the knowledge to answer whatever questions you may have. A security server from a trusted third-party company will remove a lot of the work involved in keeping data safe. You don’t need to worry about what anti-virus or firewall programs to install and there’s a very small chance that the data center will be hacked into. With experts monitoring the servers at all times, it’s rare to ever encounter a problem. However, there’s an even greater threat that you should keep in mind when it comes to sensitive data: social engineering. One of the biggest fears that a business has is losing data not because of an elaborate hacking job, but because one of their employees unwillingly allowed it to happen. It puts the business in question in a sticky situation. Social engineering is one of the most popular ways to obtain unauthorized access to something such as a cloud storage account or a business dashboard. With this unauthorized access, the hacker will be able to steal information not just from your business, but from your clients as well. It will be sold on black markets, the information will leak to the world and that privacy will be forever gone. It’s a scary thought but demonstrates the power of social engineering. This is why you need to be extra careful when you start to grow your business and recruit more employees. Your business might have the best firewalls, antivirus programs, and digital security, but if one of your employees gives over an important code or password because they were tricked over the phone, then no amount of protection will be able to save your data. They’ll access your network as if they were the person they stole the information from and inflict damage on your business from the inside. Much of this damage is reversible if you make regular daily backups, but nothing prevents the hacker from deleting these backups if they’re smart and malicious enough. In order to avoid social engineering scams, make sure your employees are cautious of anything that looks out of the ordinary. Make sure they don’t willingly give out their personal information to people they don’t know, and have them be extra cautious when opening email attachments from unknown sources. It’s incredibly easy for hackers to impersonate others in emails and online messaging, so be on the lookout at all times. Hackers will often take advantage of current affairs and other similar situations that could make you or your employees panic. For example, if a natural disaster recently occurred in your area, you may receive “emergency” calls from these hackers, requesting your password for “emergency” reasons and using the recent natural disaster as a way to convince you. In short, you want to keep an eye open at all times to protect yourself from these nasty scams, and you need to teach your employees how to spot these malicious people on the internet and stay away from them. It’s important to take your data security seriously no matter what type of business you run. Protecting your business is one of the most important tasks for a business owner. Cyber attacks can cripple your business and its operations, but it could permanently shut you down as well if the attack was damaging enough. Thankfully, with trained employees, secure servers and plenty of good advice from security specialists, you can fight back against these malicious internet users and save your business from crumbling. Companies manage sensitive data for customers all over the world, and it’s your responsibility to ensure that the data is secure and not at risk of being stolen. 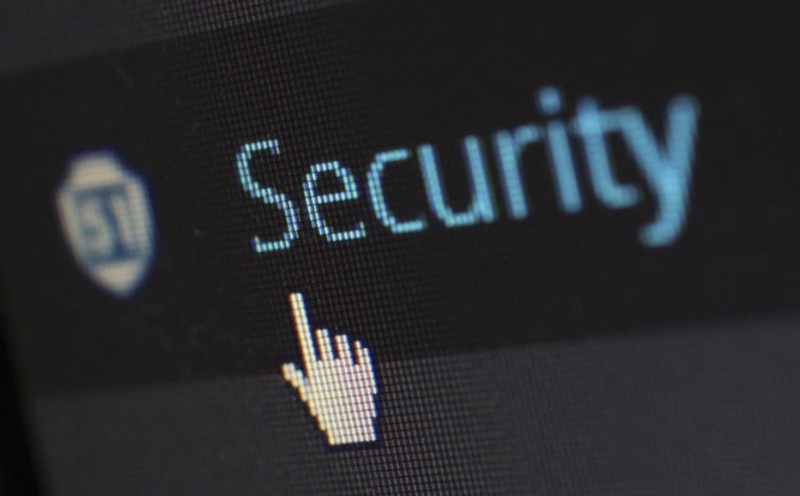 Whether you’re a small, medium or large business, it’s crucial that you put data security first and invest money into keeping it safe from malicious individuals. If you want to build a good relationship with your customers, then you need to take their data security seriously. They trust you with important and often private information, so if it falls into the wrong hands and is eventually released to the public, you could be sued due to your negligence.